VI Vote Series has announced its second Town Hall Meeting: “The Job Interview.” There are three Democratic Party primary gubernatorial candidates in the Aug. 4, 2018 Elections. 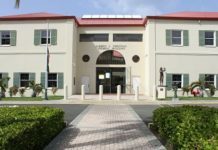 VI Vote Series will be hosting this town hall event with gubernatorial candidates and their lieutenant governors running mates at 6 p.m., Thursday, June 21, at CHOP & Grill Restaurant at Sunny Isle Shopping Center, St. Croix. The participating Democratic Party Primary candidates are: Angel Dawson Jr. and Marise James (Dawson/James) Ballot No. 1; Albert Bryan Jr. and Tregenza A. Roach (Bryan/Roach) Ballot No. 2; Allison Allie Petrus and Sammuel Sanes (Petrus/Sanes) Ballot No. 3. Virgin Islands residents and community-based organizations are seeking answers in electing a representative government for greater accountability, transparency and efficiency from those asking to serve in government. St. Croix Economic Development Initiative (SEDI), a macroeconomic and public policy think tank, WSTX Radio, Kalalloo Network, St. Croix Chamber of Commerce, St. Croix Foundation Nonprofit Consortium and other community-based organizations in the public/private sector were compelled to a call of action to help voters to be better informed on the critical issues and the vetting of an extensive field of candidates. VI Vote Series is leveraging data, technology and media combined with daily survey polling (http://www.vivote.us ), town hall meetings (themed “The Job Interview”), live weekly broadcasts, social media, video streaming, interactions called “Meet the Candidates,” voter registration drives and various community outreach events. All of this is being utilized to connect, educate and empower voters in a very comprehensive way. VI Vote Series is a voter-centric approach to reverse voter apathy, complacency and disconnect. It applies a focus-group method to energize residents and the voter base in the 2018 election, because so much is at stake for the future of these US Virgin Islands. Such as the proposed Reapportionment referendum sponsor by St. Croix Government Retirees Inc. 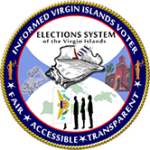 The VI Vote Townhall meetings will be moderated by a panel with audience participation Q&A. The public can vote on online now http://www.vivote.us on the critical issues and submit questions and comments to be asked by the candidates. There will be four separate town hall meetings dividing up the 16 senatorial candidates from the Democratic Party and three gubernatorial candidates. They will be scheduled at four separate dates before the Aug. 4th primary. The third town hall is scheduled for 6 p.m., Thursday, June 28, with the second group of senatorial candidates. On June 30, VI Vote Series will be launching its major event: the pre-July 4th and Emancipation Day Get Out the Vote & Voters Registration Drive, Voting Machine Demonstration and Primary Rally Family Fun Day at the Drive-In on St. Croix.